A Fulbright Fellow at Stanford University, where she teaches Hindi, Simran has experienced chai across India, from her childhood home in Kolkata to the streets of Hyderabad, where she recently worked. Simran Luthra’s love for chai runs deep. From early yearnings to drink chai as her older siblings did to poignant memories of chai sipped around India, Simran’s relationship with chai is a lifelong romance. Drinking chai was an aspiration growing up. With two significantly older siblings who began their mornings with the ritualistic cup of tea, I was only too eager to join the ranks of the tea drinkers. A common way to disincentivize children from drinking tea in India is to tell them that it would make their skin dark, like the color of the beverage. (With the obsession for fair skin, it actually serves its purpose well!) But that argument never really cut the mustard with me. Subsequently my journey as a chai drinker started pretty early on. Family time meant dinners to city restaurants, but another favorite haunt was Balwant Singh’s Eating House located off Elgin Road, which served perhaps the tastiest, Punjabi style cha in earthen pots called bhaad. 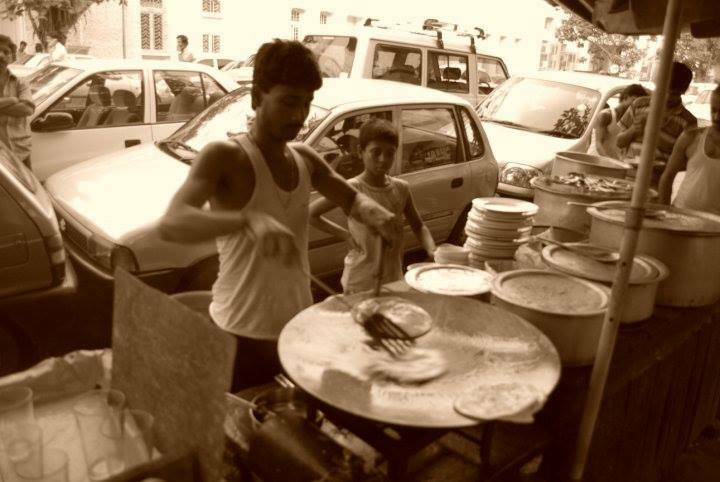 Life in Hyderabad, which is where I was last living, the dearth of chaiwalas on the city streets hurt the most. It was surprising and strange for me to not find chaiwalas dotting city streets and lanes. The same is true with my brief experience in Bangalore. My two years at Jadavpur University in Calcutta, doing my masters involved routine trips to the chaiwalas housed at the campus canteens. Milan da as he was affectionately called was our regular, and served cha in the cutting chai glasses. He also had a variety of food items you could choose from. But the chai was something intrinsic to the journey as a student in college or at university. Attaining adulthood was synonymous with the amount of time you spent at a chai thek. Besides, the caffeine and the temperature of the drink certainly helped in making one more alert – readied one for the onslaught of the remaining classes of the day. 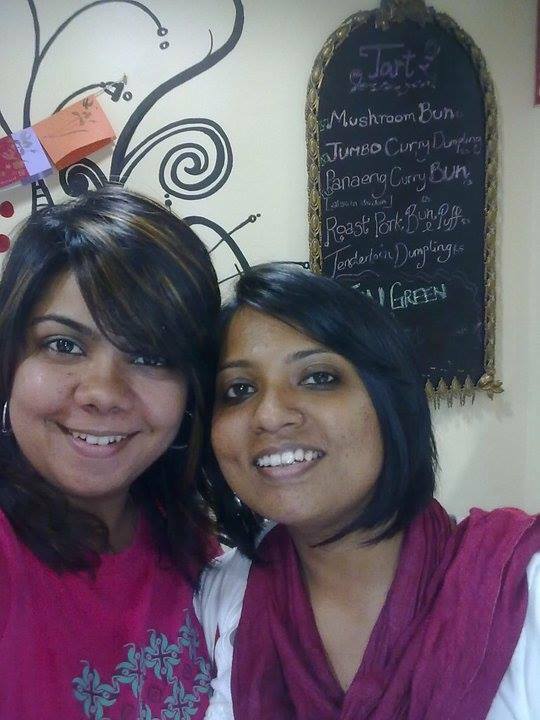 My chai-buddy – one enthusiastic and as much a connoisseur of tea as I – was Pooja Das Sarkar. In our two years at university, we explored a number of chai theks, drinking tea, sitting on benches – in the rain, in the sun – dreaming up the future. That was while we were still living in Calcutta. But the chai bond still remains: even though we live in two different cities, whenever we visit each other, the most-looked-forward part of the day is the morning chai and cigarette ritual, with frequent iterations throughout the day. As I have moved to California for a year on a Fulbright at Stanford University to teach Hindi, the one thing I missed the most was good ol’ Indian chai. I got super excited to see chai-tea-latte (of course the ‘tea’ being redundant in that name) at the Stanford bookstore, and immediately ordered one, much to my intense disappointment. It was nothing like chai or latte! A visit to an Indian store, (ah! Such joy that was) gave me the opportunity to purchase an Indian brand of tea leaves. Often in the evenings when my Filipino flat-mate is at home, I ask her if she would like to drink tea or coffee, and when she says ‘tea’, I am filled with joy! Perhaps I have another convert to Indian chai! Chai is pretty much the one thing I cannot say ‘no’ to; something which has earned me the distinctive title of ‘tea-guzzler’ by close friends. And ‘tea guzzler’ I will remain – a romance which will last a lifetime – chai and me!